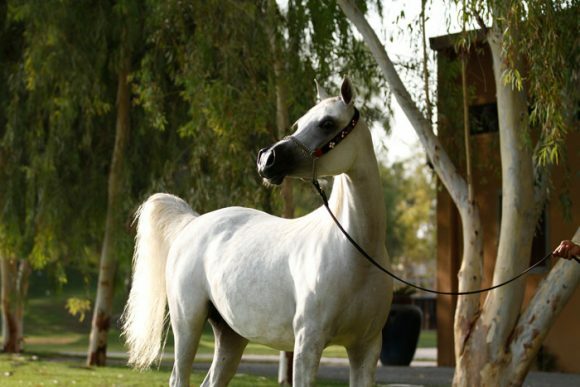 The second part of “a view of Al Zobair Stud’s foundation” brings us to the Snow White Egyptian mare, Khameela. 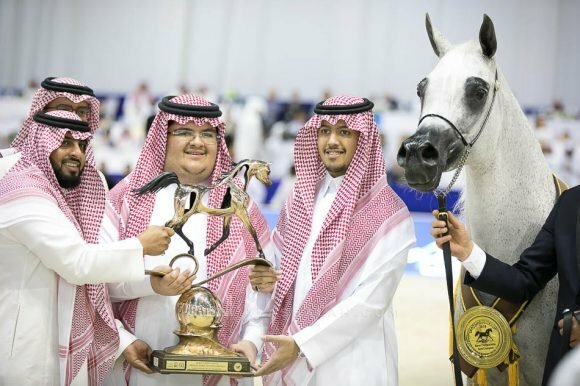 When His Excellency decided to buyKhameela from the United States, he has started another part of the tree’s branch. 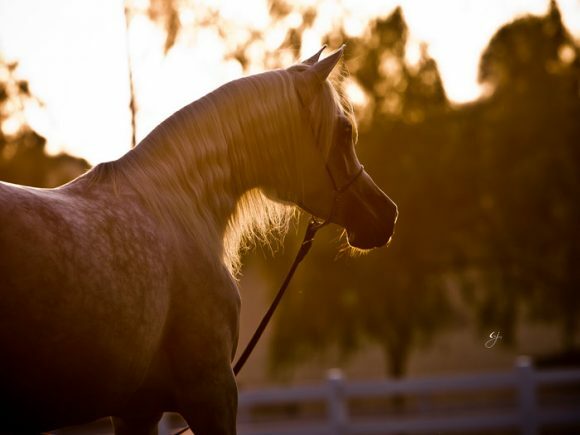 Khameela is by the Brazilian National Champion PVA Kariim out of the multi Champion Binstril. 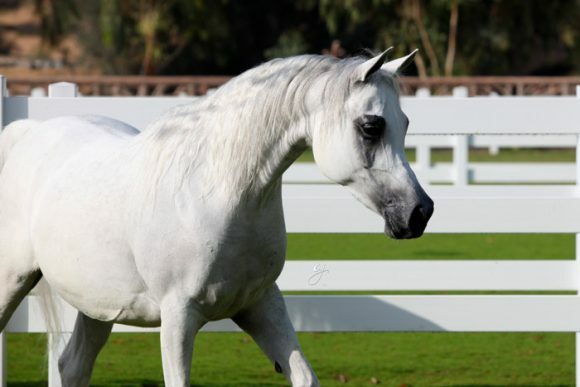 She is aclassical Egyptian beauty, a perfect definition of the traditional Egyptian mare.She is the kind of horses that made the renown of Straight Egyptian horses. 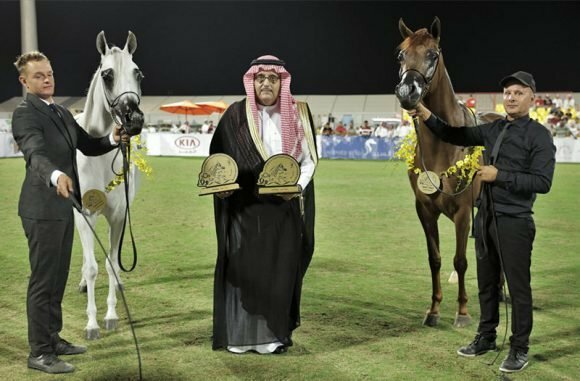 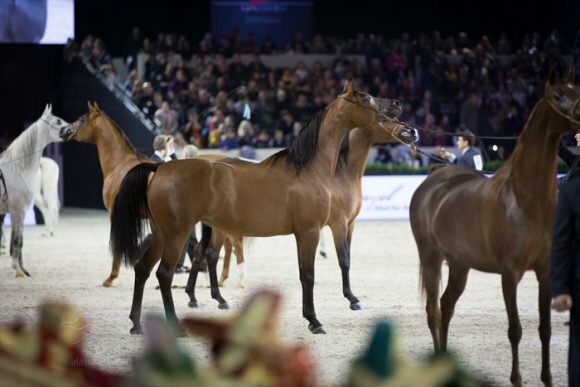 Shehas given to Al Zobair the beautiful DalalAl Zobair byAl Adeed Al Shaqab. 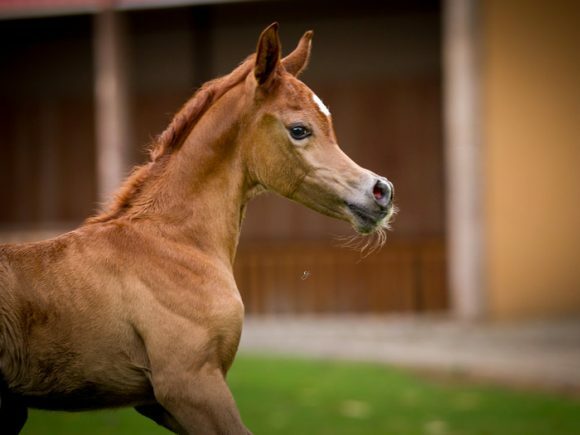 Dalal Al Zobair, one of the first foals born at the farm. 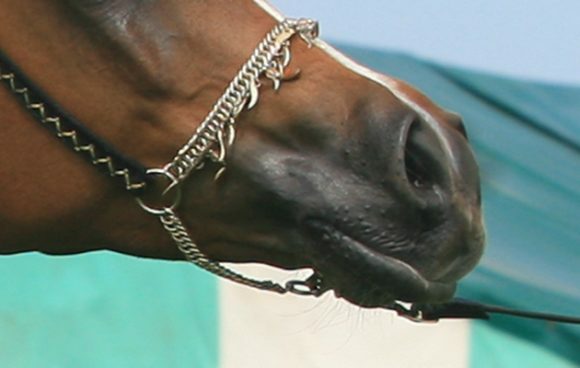 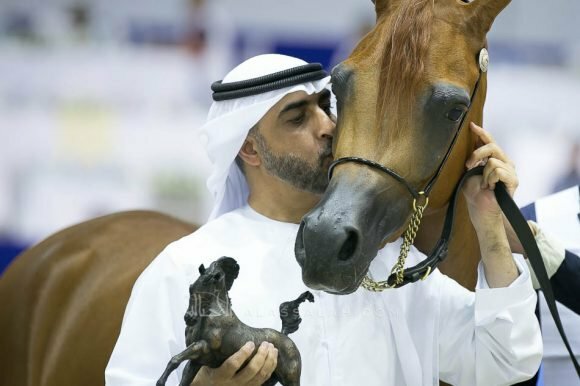 She brought home the 2004 Silver Champion at the UAE National Championship, and 2005 Sharjah UAE bred Champion Mare. 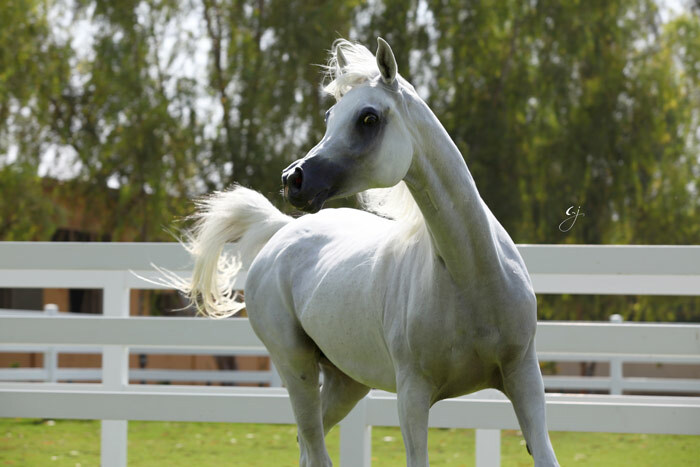 Her first daughter, Zeinat Al Zobair (x AnsataShalim)is having a foal by Occyte transfer with Ashhal Al Rayyan. Daleelah,the actual latest baby of the family is out of Bint Dalal Al Zobair (Maydan Madheen x Dalal Al Zobair) and Al Sa’eedi.